Mainline drivers looking to combine style and substance are invited to explore the new Jaguar F-PACE at Jaguar Willow Grove. This compact luxury SUV is available in the Jaguar F-PACE SVR trim which features a supercharged V8. Edmunds calls it “primed for performance.” Browse our selection of Jaguar F-PACE SUVs for sale today. 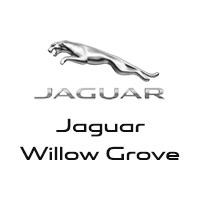 Why Buy a New Jaguar F-PACE at Jaguar Willow Grove? For more information, stop by our showroom at 900 S. York Rd Willow Grove, PA 19090, or compare the Jaguar F-PACE vs. E-PACE to expand your search.